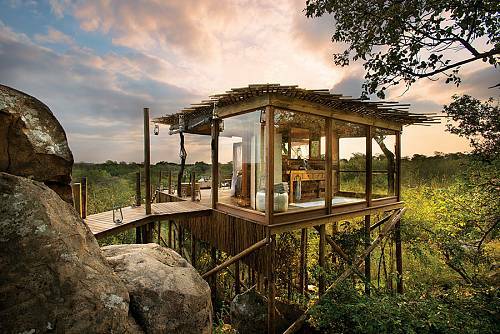 The malaria-free Marataba game reserve is a sanctuary where busy people can find themselves again by connecting with nature. Immerse yourself in the dramatic Waterberg mountains, vast plains, rich animal diversity, and winding rivers cutting through the landscape. Marataba Safari Lodge offers traditional Big 5 game viewing, while Marataba Trails Lodge offers unparalleled walking safaris. Visit cosmopolitan Cape Town and enjoy a private culinary tour of the city. Experience a luxury Kruger safari in the famous Sabi Sands reserve, then explore beautiful walking trails that are only accessible by foot.